What are you up to this weekend? Well, I will be in New York City for the World Maker Faire and I am bringing this guy along. Check out the video to see what I made! Fans of Minecraft are sure to recognize him. This is just a teaser video of what you might see if you stop by the LEGO MINDSTORMS booth. The total project took just under a month and used well over 1000 LEGO Technic parts. Checkout how I am a #RobotMak3r! So a few weeks ago I got a VEX IQ set. I have been working on mobile robotic arm. This video showcases the drive base for the robot. I have it working via remote. 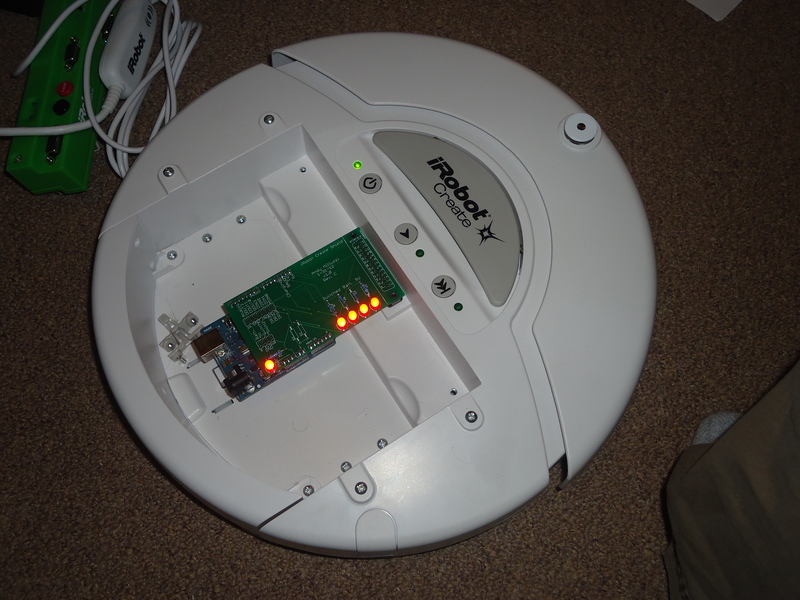 All the software is written in RobotC. This is just step 1, the arm will be the next challenge, but just wanted to share what I have been doing! You can learn more about VEX IQ here and join the discussion forum! Remember that Maker Faire demo I posted about a few weeks ago? Well as promised here is Part 2! This time I dive into the new features I added for the demo. The video format is a bit strange in that it presents a PowerPoint, but that was a requirement for a class. I ended up leveraging this work for my image processing class this semester. One of the easiest ways to make a demo interactive is to kid a child a maker and say draw. That is exactly what this demo does. As the child draws, the robot or swarm will follow the line. I do some image processing to find the line. The first step is to reduce the search area. This is a huge time saver when it comes to processing and removes many of the issues of shadows or various markers and body parts the camera may see. Then it does a search in this region of interest (ROI) and looks for where the line intersects the ROI. I tried to keep the new feature as streamlined as possible to avoid the issues of degraded performance. Image processing can be quite processor intensive. Since the code was already doing a lot of processing to get to this point, I wanted to ensure that any further enhancements did not add lag. There is always room for improvement and one of those areas would be actually projecting the line to calculate the intersection. This would probably help for the cases where the line does not intersect the edge of the ROI, but that is a feature for another time. Check out the video for more details. It came together really well! Life has been crazy these past few weeks. From Brickworld, to FIRST, to school, there has been little free time. However this weekend brought me to the great state of Maine. 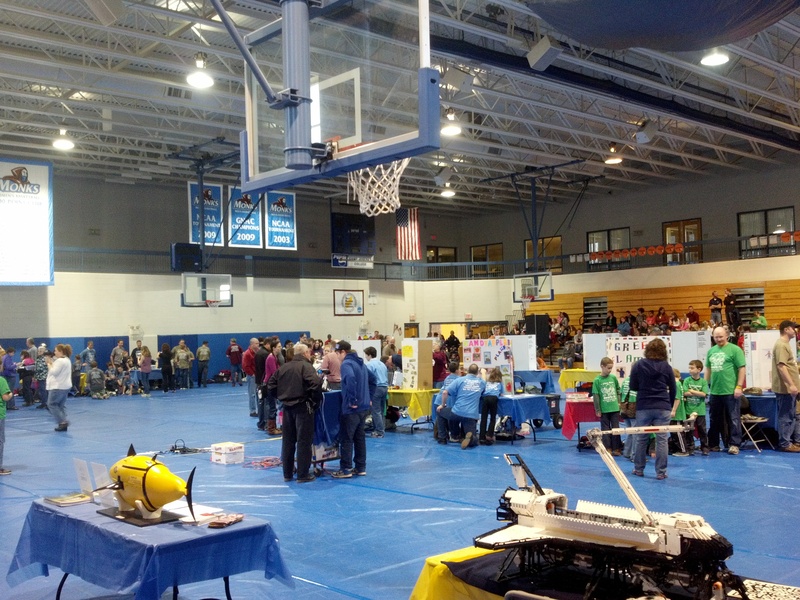 Just a few hours east of FIRST HQ in New Hampshire, southern Maine is just beginning to get into robotics. Leading the charge is the Southern Maine Gearbots. Combining FIRST (FLL and FRC), VEX and some custom challenges, this group is working hard to prepare the engineers of tomorrow. Naturally any robotics event is not complete without a visit from some famous robots. 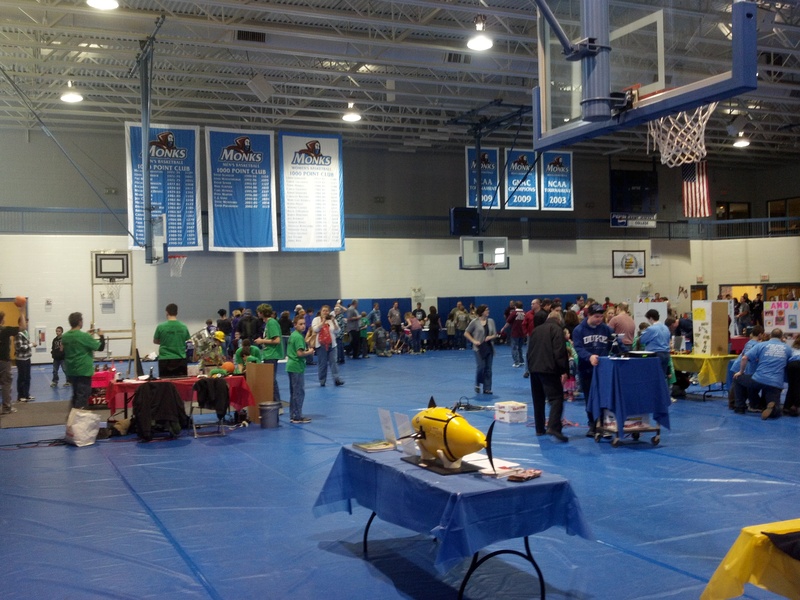 Making an appearance was the LEGO MINDSTORMS Space Shuttle and Boston Engineering’s Robotuna. For many this was their first experience with real engineers and robotics. I was honored to be invited to the event and it really seems to be a great program! Enjoy a few pictures capturing this really great event! Next year will be event better. Hats off to all involved! This project has kind of been a secret, but it seems to be nearing completion and I really want to share it. For Christmas my parents got me an iRobot Create. I am a huge fan of the Arduino and wanted to get a shield for it. I soon discovered that there were no good shields for the Create so I set about making my own. After several revisions (and some magic blue smoke) I finally have a working board. I have not populated all the features of the latest revision (Rev. C) yet, but I do have status LEDs and basic serial communication working. What does my shield do? 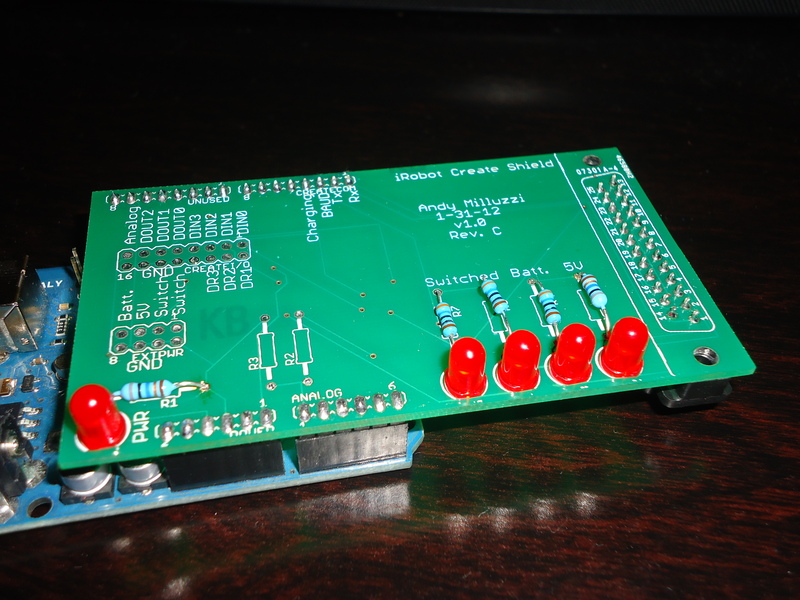 This board provides power LEDs for all major power supplies coming from the Create, it also allows the Arduino to monitor the battery level. There are header’s for the Create’s built in I/O as well. While the board is working correctly, it is not quite perfect. The big issue is that there is a ton of heat coming from the Arduino. This is from the voltage regulator. I am well within tolerance, but linear voltage regulators are known to put off a ton of heat. I plan to add some voltage regulation to the shield so it does not put so much strain on the built in Arduino regulator. So now for the bad news (or good news depending on how you look at it). Tomorrow I leave to go to Australia. I am going to Rose-Hulman’s Oakley Southern Sky Observatory in New South Whales, Australia. That means I will not be working on this shield for a about a week (or other NXT projects). I will be blogging some of the images from my trip. Another hobby of mine is Astronomy. Last year I wrote some software to control our observatory. Think of it as a really big (super expensive) robot. In addition to doing some work at the Rose-Hulman Observatory, I will also be visiting Siding Springs Observatory, located just a few miles away. I have made a few posts about my senior design project, but this one is by far the best. We have completed the main deliverable for the project. Check out the video below to see what we did. The robot has amazing accuracy. 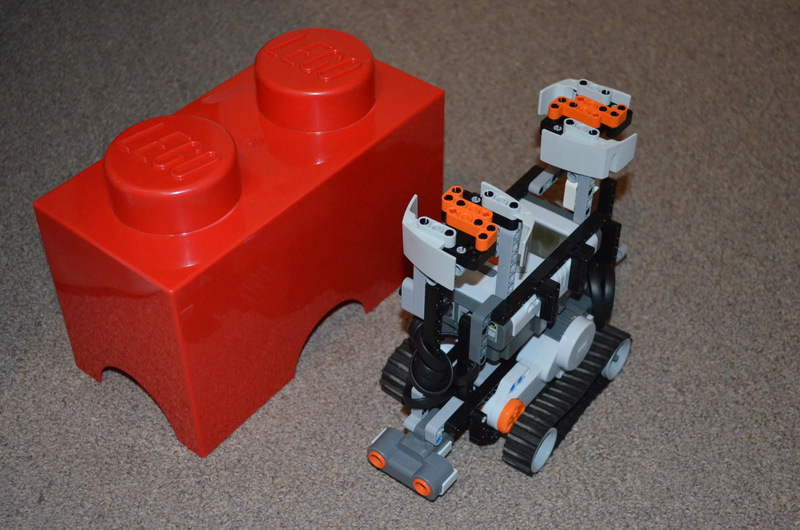 Baz, an MCP up in Montreal, Canada, created one of the coolest robots ever, Brickbot. 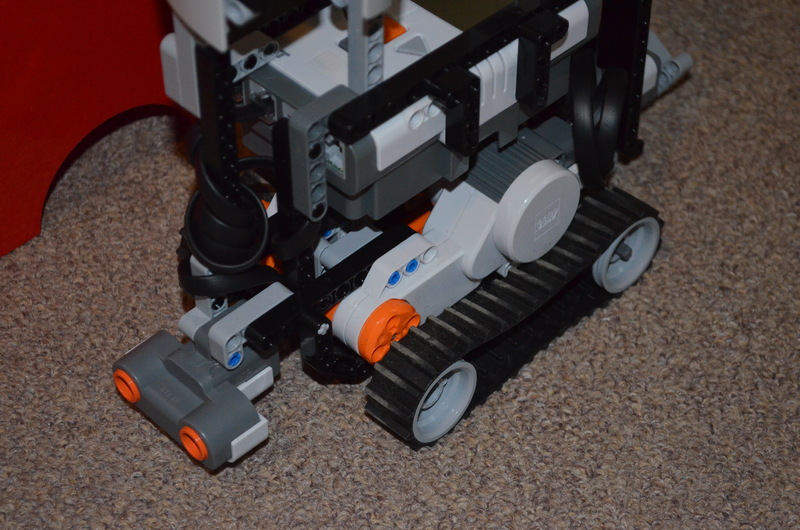 Brickbot is a LEGO MINDSTORMS robot, hidden under a big LEGO shell. For Christmas/my birthday, my roommate got me a few LEGO containers. Like Marc, I quickly made a robot to fit inside the shell. Using parts from only one NXT kit (but some may be different in color), I created the frame you see here. 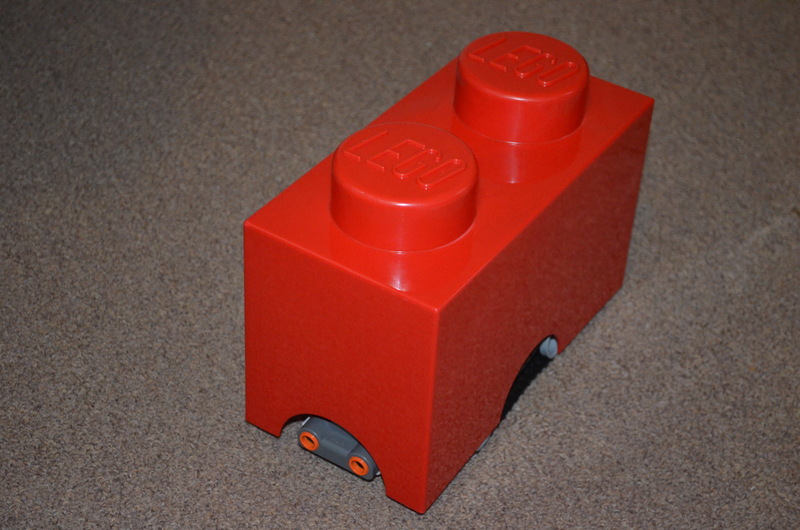 I put in a ultrasonic sensor that looks under the bigger brick to help it avoid objects. I wrote a quick program in NXT-G and my red Brickbot was born. He roamed around at the Greenfield Brick Expo and will be roaming around today at the IL FLL State Tournament in Chicago. More pictures below! My senior design project has made some great progress. Besides all the software we have written, we have now officially mechanically integrated our robotic arm with our NI DaNI base. There are still some minor issues to work out, but the majority of the work is done. 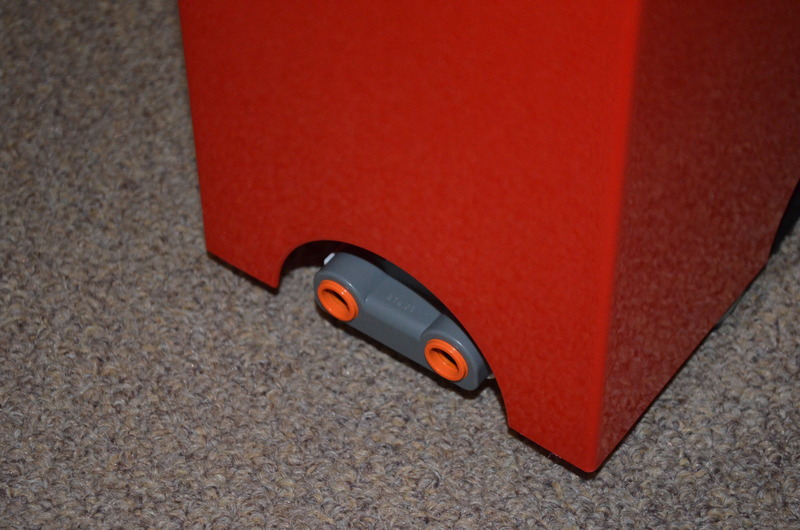 In the new year, we will be working on creating a demo to show off the robot’s flexibility. We will be posting a video with the new, integrated system working after classes resume in January. Since we have a fair bit of time (about 2 months) remaining, we plan to go hog wild on this project. If its worth doing, it worth over-doing, right? 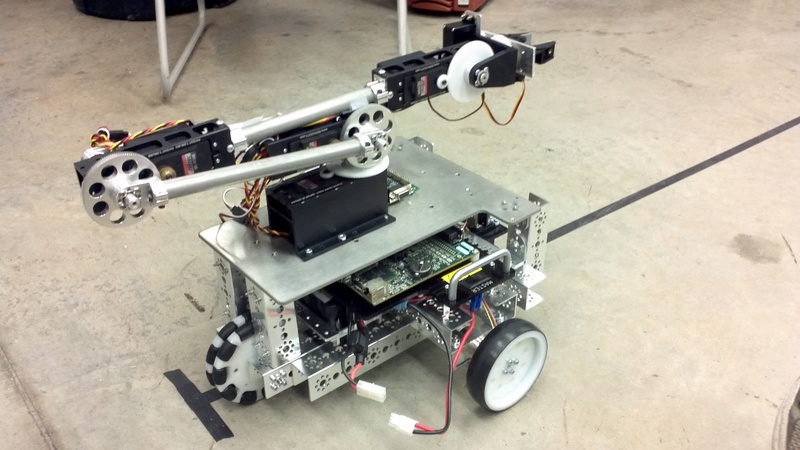 I am in Mobile Robotics here at Rose-Hulman this term and my team is working with the original NI DaNI robot. Our latest lab asked us to add some IR sensors and some photo-resistors. Check out the upgrades! It is kind of fun to spend 4 (or more) hours a day playing with robots!